KAHULUI — The Maui High School boys basketball team didn’t want to leave any room for doubt coming into its Maui Interscholastic League game on Wednesday night. Kamehameha Maui found that out quickly. 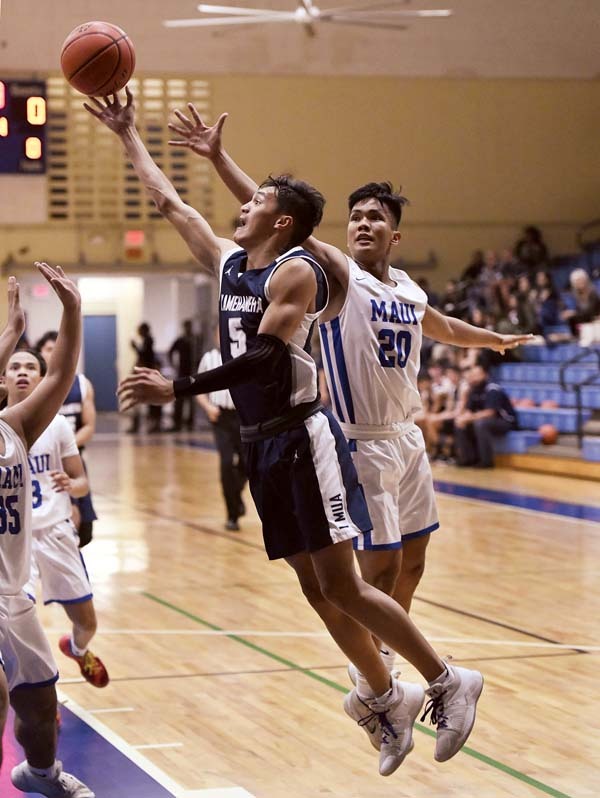 The Sabers rolled to a 13-point lead after one quarter, boosted it to 26 at halftime and finished with a convincing 49-13 win over the Warriors at the Izumi “Shine” Matsui Athletic Center. The win upped the Sabers’ MIL record to 4-2 and was their second straight after losing two in a row. Maui High’s DJ Sable did not score in the game, but he ran the show from the point guard position well all night. That had been the message from coach Maui High Steven Vega all week since back-to-back losses to Lahainaluna and Baldwin. 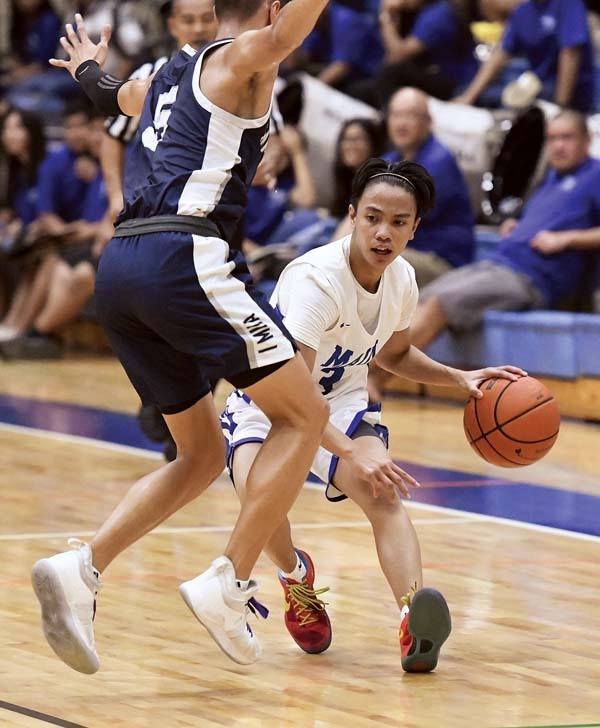 The Sabers were coming off a 58-53 win over King Kekaulike on Saturday. A 3 by Isaiah Richards pushed the lead to 40-13 with 2 minutes left in the third quarter. Earlier, two straight 3s by Richards made it 32-9 with 1:20 left in the first half. Richards finished with 18 points, but contributions came from all over the place for Maui High. Kobin Harris, a 6-foot-7 junior, blocked four shots and grabbed numerous rebounds. Efren Villon and Jojo Pacubas each scored all seven of their points in the first half when the Sabers rolled up a 35-9 lead. The defense never stopped –Kamehameha Maui did not score a point in the fourth quarter. 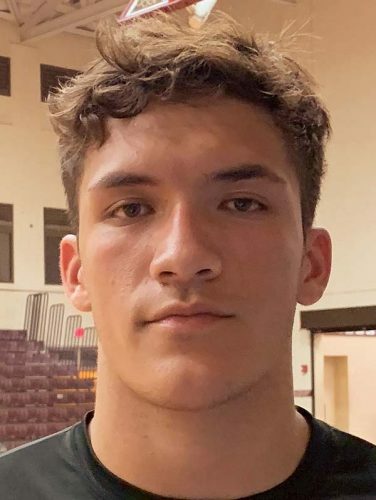 The largest lead came on a 3 by Maui High’s Logan Nagamine that made it 49-13 with 2 minutes to play — it was the Sabers’ seventh 3 of the night. Senior forward Brycetyn Boco made a pair of 3s for the Sabers and finished with eight points. 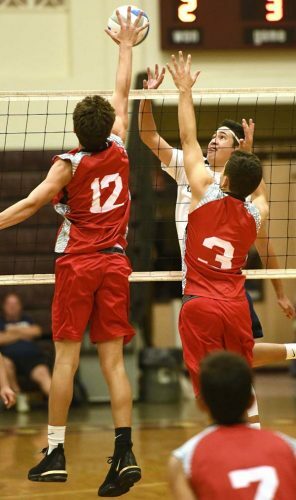 Kamalu Segundo led Kamehameha Maui (1-5) with five points. At the midway point of the regular season, the MIL tournament is the only route to the state tournament for the Warriors. Kimo Holt-Mossman 0, Keanu Rindlisbacher 0, Kamalu Segundo 5, Beau Ramos 0, Henry Miguel 4, Ilikea Mossman-Smith 0, Michael Kalalau 0, Tiliti Adams 2, Taj Falconer 0, Marco Kahoohanohano 2, Colton Luke 0, Bryson Reformina 0. Efren Villon 7, DJ Sable 0, Kevin Cacho 4, Jojo Pacubas 7, Logan Nagamine 3, Isaiah Richards 18, Charlles Guansing 0, T-Jay Valle 0, Michael Villon 2, Kobin Harris 0, Brycetyn Boco 8, Chris Rummans 0. Kuumana Bailey 1, Meleani Sjostrand 3, Makamae Kaili-Kramer 2, Tatiana Soon 0, Alyssia Fernandez-Ruiz 5, Logan Spencer 8, Mikiala Sniffen 14, Kuumakalehiwa Ruidas 0. 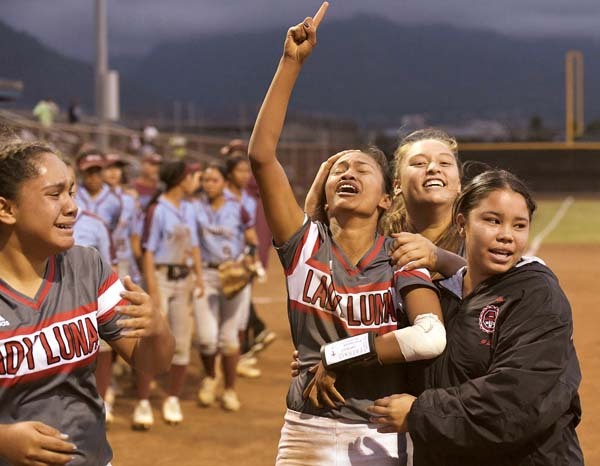 Hiilani Arai 6, Kealohi Real 2, Kylenna Rieta 10, Leiana Thornton 8, Natea Rosete-Tokuhisa 7, Nicole Otsuka 0, Atasha Timbreza 0, Makena Stevenson 2, Ronie Butihi 4, Mayghen Thornton 2. Ethan Bediamol 5, Thorren Rebugio 0, Darius Lauture 11, Carson Yoshida 7, Dylan Baird 9, Kai Carbajal 8, Jacob Wittenberg 0, Braeton Taylor 0, Corey Frias 3, Jovyn Nault 0, Akhil Fernando-Bell 0, Kaleb Chun 0. 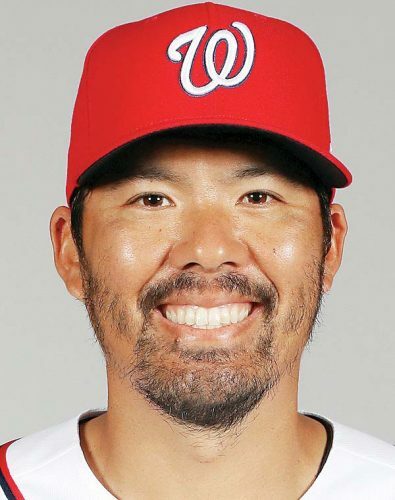 Jerren Manarpaac 0, Mochi Dukelow 8, Owen Nakamura 0, Rommel-Mico Daoang 0, Holden Ioanis 4, Reinhard Taidrik 2, Ben Wagner 5, Tyrone Nakooka 0, Kui Ross 20, Quintan Akaka 0, Prieston Rayray 0, Ikaika Raines 0, John Werner 8. Cailyn Ukida 17, Lauren Albrecht 2, Charlie Abreu 6, T.C. Pahukoa 17, Namahana Kaeo-Young 11, Anna Lee Peters 0, Heather Pease 2, Kreyajan Pahukoa 0, Kamalani Puu 0, Aliyah Ah You 0, Kailia Purdy 10. Jordyn Vierra 0, Kyra Cambra 19, McKenzie Schwindler 6, Tia Caulford 0, Taylor Manangan 17, Precious Rayray 0, Aya Buttaro 3, Shalei Lee Awai 0, Jeziel Pulgados 0, Angel Dela Cruz 0, Makayla Chung 12, Saree-Ann Kekahuna 0, Kealani Pasene-Keahi 0. 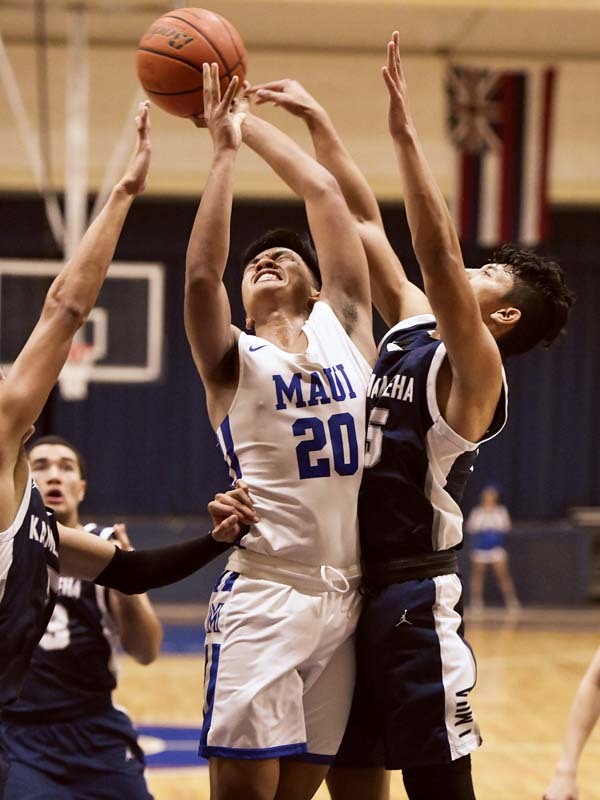 Lanai at Molokai, 5 p.m.
Haleakala Waldorf vs. Seabury Hall at Eddie Tam Gym, 7 p.m.
St. Anthony vs. Hana at War Memorial Gym, 7 p.m.
Hana at Seabury Hall, 5:30 p.m.
Lanai at Molokai, 7 p.m.